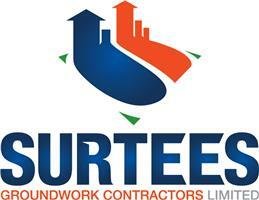 Surtees Groundwork Contractors Ltd - Builder, Driveways/Patios/Paths based in Sandhurst, Berkshire. Surtees Groundwork Contractors Ltd is a local family run business based in Berkshire. Established for over 50 years. We specialise in all areas of groundwork's and general building. We cover the South of England including Berkshire, Surrey, Hampshire, Oxfordshire, Buckinghamshire, Kent and the whole of London. We offer completely free, no hassle estimates. We know that it can be daunting letting other people into your home but we take extreme pride in our reliability and trustworthiness. We are fully insured and cover domestic, commercial and industrial works. Please visit our Website or Facebook page for more information.